Mr. Robert J. 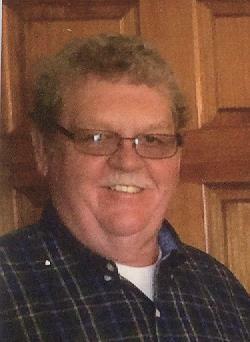 "Bob" Schegan Sr., age 68, of Locust Valley, died Monday evening at St. Luke's Hospital in Bethlehem. Born at the former Locust Mountain Hospital he was the son of the late John and Helen (Lord) Schegan. He was a 1968 graduate of Mahanoy Area High School and served with the National Guard. He retired from PennDot after 33 years of services and also owned and operated his auto repair garage from his home. He is survived by his wife of 44 years the former Michele McLaughlin, 3 sons Robert Jr. and his wife Kerri of Kutztown, Zack and his wife Lindsay of the Lewistown Valley and Cody and his girlfriend Brittany Fryer of Barnesville, a brother Carl of Hazelton, a grandson Caleb Schegan, a sister in law Geraldine Getz of Macungie and nephews Jon Getz and his wife Kat and Josh and Christian Schegan. Relatives and friends are invited to call at David D. Jarrett Funeral Home in Mahanoy City on Saturday afternoon from 2 to 4 PM. In lieu of flowers contributions in Bob's name to the charity of the donors choice would be appreciated by the family. Please visit www.jarrettfuneralhome.com for more information.